If you (or someone you love) have ever been afflicted with the tragedy of continual sleep paralysis, you’ll understand the horrors placed upon both your mind and your body. To come out of it sane is one thing, but to come out of it and make something of it, let alone something beautiful, is another. Chelsea Wolfe can’t imagine her life with the paralytic condition, but has managed to make a four album (technically seven if you count the non-major label and self-released records) strong career out of the disorder. 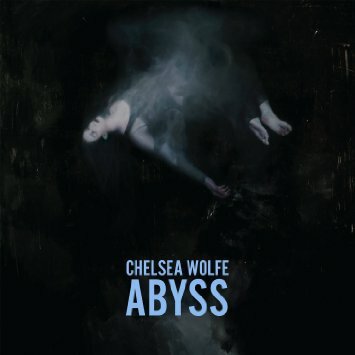 Abyss, the next to be bestowed upon her feverish fans, follows in the true Chelsea fashion of fusing industrial, doom, folk, experimental and outright gothic elements, but just might be her most haunted and personal release to date. Coming out of the gates hot is the intro track “Carrion Flowers,” beginning with a fuzzy, blown out sort of barrel that leads into something reminiscent of Nine Inch Nails, to which Wolfe’s lowered orals compliment greatly. The center of the album is definitely “After the Fall,” a boisterous track that could score your nightmare, ushering into “Crazy Love,” the acoustic ballad like those off her Unknown Rooms collection. The title track, “The Abyss,” closes out the album on just as a disturbed note as it opened with. There isn’t one song on Abyss that falls flat or in any way short of Wolfe’s proven dexterity and if anything, demonstrates itself as her career’s apex.